With today’s realistic, high-efficiency propane fireplaces and hearth products, the dancing flames of a warm crackling fire are never more than a click away. Easy to use, safe and available in all sizes and styles, propane hearth products from Cherry Energy can bring a comforting ambiance to your living room our outdoor space. Venting – We can help you determine which venting method – direct vent, natural vent and vent-free – is most affordable, practical and safe for your home, and which meet your local safety code requirements. Sizing – We’ll help you choose what size of fireplace is appropriate for the look and heating load of your room or outdoor space. Model selection – From choosing trim and a mantel or surround to finding the right propane gas log set or fireplace insert, we can help you complete the picture of your ideal home hearth. Once you make your choices, our expert installation team will get your creation built safely and quickly, in compliance with all local codes and provisions. 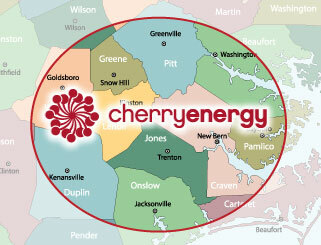 Contact Cherry Energy today for a free estimate on your dream hearth.